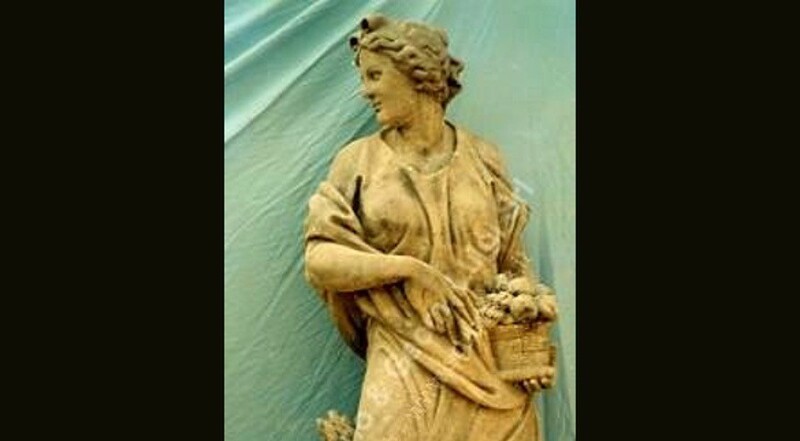 Antique four Elements statues, hand carved in Vicenza stone by our sculptors. Classical thought, the four elements Earth, Water, Air, and Fire frequently occur; sometimes including a fifth element or quintessence (after "quint" meaning "fifth") called Aether in ancient Greece and India. In Hinduism, particularly in an esoteric context, the four states-of-matter describe matter, and a fifth element describes that which was beyond the material world. Similar lists existed in ancient China and Japan In Buddhism the four great elements, to which two others are sometimes added, they are not viewed as substances, but as categories of sensory experience.